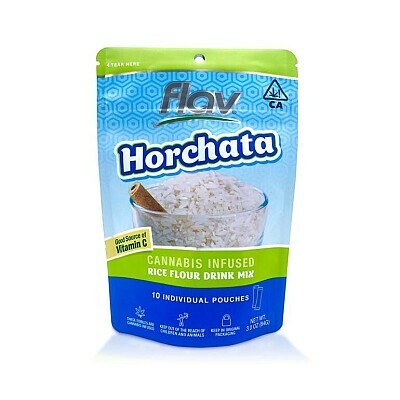 Flav THC Horchata 100mg - 10 Pack Edibles, Order Weed Online From East Of Eden Cannabis Co.
From an authentic Mexican recipe, this beloved beverage infused with premium cannabis is the delightful agua fresca you remember. Pour yourself an ice-cold glass of cinnamon and vanilla goodness with a euphoric kick. ¡Flav Horchata es muy delicioso! 10mg THC per packet (100mg total) for easy, controllable dosing. Popular Edibles from East of Eden Cannabis Co.